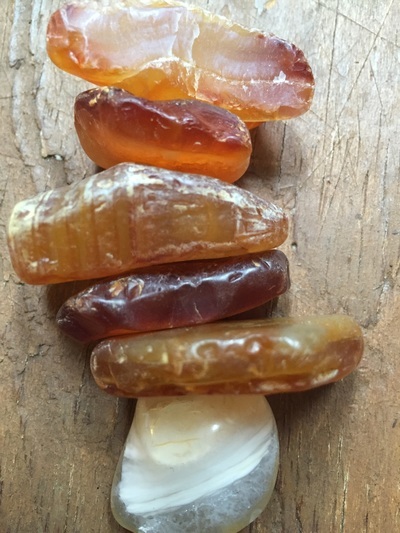 Agates are a favorite semi-precious stone that most seasoned beach combers hunt for while exploring a beach. They are found throughout the Pacific Northwest and most of the U.S. in different shapes, color, banding and opacity. Of all the beautiful stones found on a beach, agates are typically the most beautiful and prized. 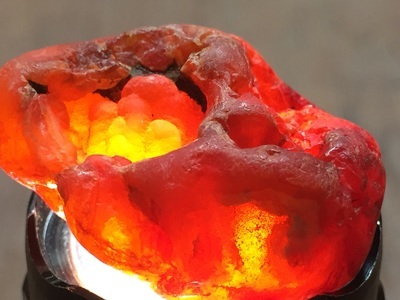 In order to aid the agate hunter in a successful search detailed information will be given about agate formation, types and quality. 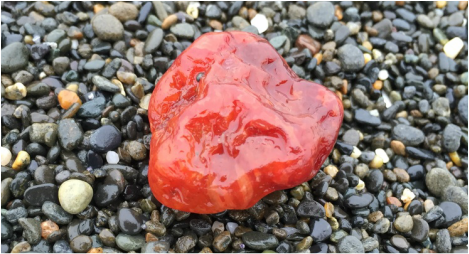 Additional information will guide the agate hunter in how to find agates on a beach, where to look and agate identification. 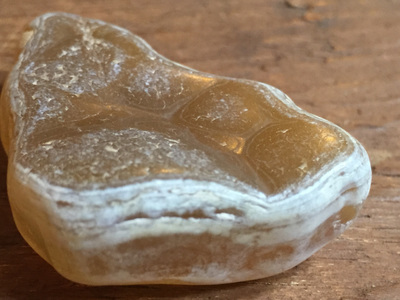 There are thousands of different types of names given to agates found throughout the world. Sometimes agates are named because of their formation type, such as a fortification agate. In other cases, they are named after the location in which they are found, such as the Lake Superior Agate. 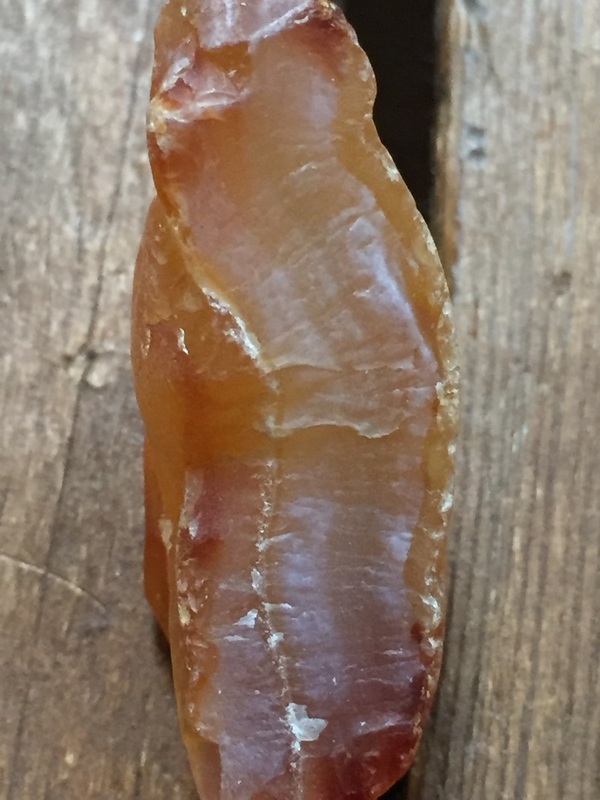 Sometimes, it is a combination such as a Lake Superior Fortification Agate. Below are a few examples. Fortification Agate - This is the most common and distinctive type of agate. In these agates, bands crystallized into concentric layers that more or less follow the shape of the cavity. The banding resembles an aerial view of a fort. Water-Line Agate (aka-water-level or onyx) - During its formation, silica-rich solution either entered the cavity slowly laying one band at a time, excess water drained out leaving a small amount of silica to settle out into separate bands, or the vesicle filled under low pressure. 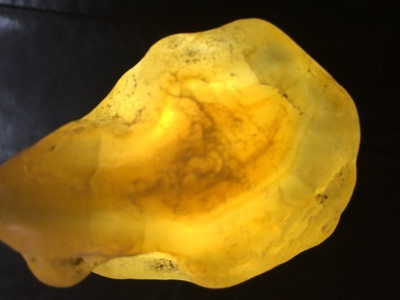 In this type of agate, the silica crystallization in water-level agates is controlled by gravity creating one orientation, forming multiple levels of parallel bands. Tube Agate - During the formation of some agates, parallel projections of tiny hair-thin mineral rods grow first within the silica gel, around which later the chalcedony agate micro-crystals form. In some cases the inclusions remain, but sometimes they weather away leaving hollow tubes that subsequently fill in with silica. 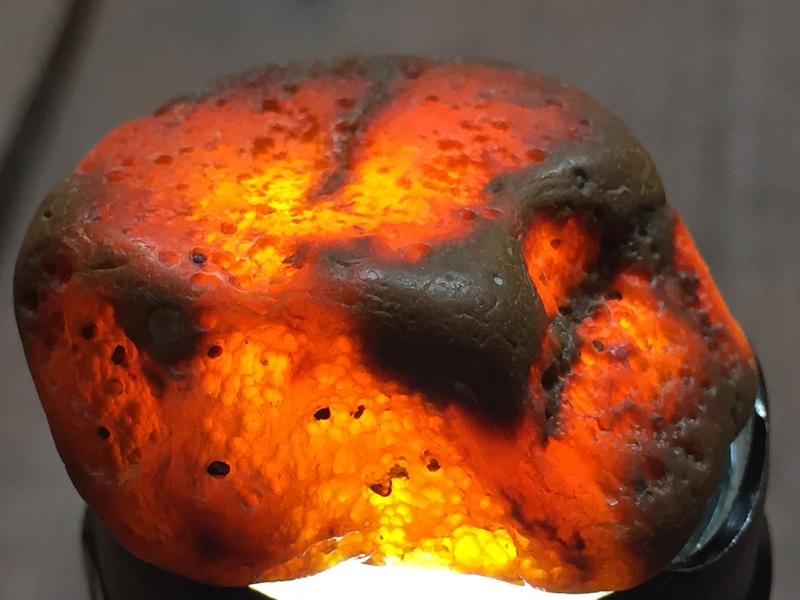 Eye AgatesThis peculiar agate characteristic is believed to be formed when most of the silica gel drains from the cavity, leaving only a droplet that “beads up” on the inside wall of the cavity. This droplet crystallizes into solid chalcedony “eyes”. In some cases, crystal growth will continue from this droplet in a manner similar to the formation of stalactites in caves. 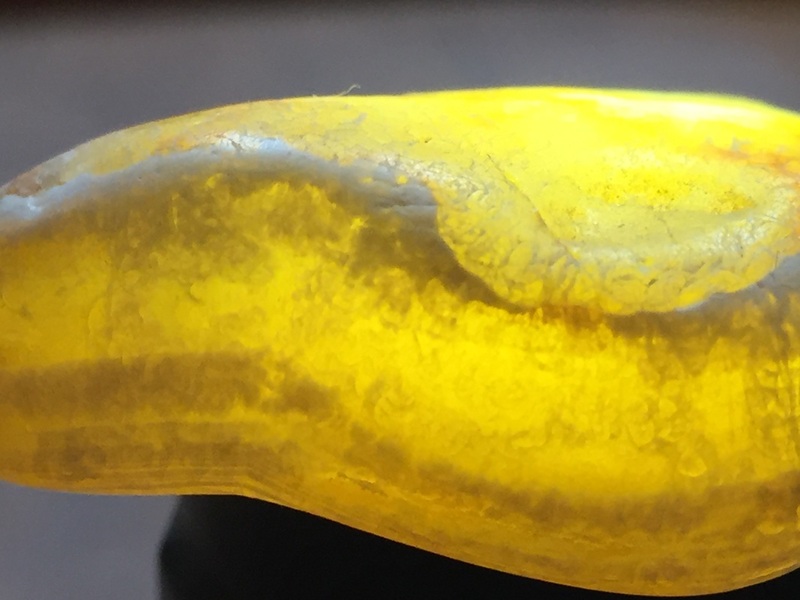 Later, the pocket fills in with the usual deposition of chalcedony microcrystals. Plume AgateThese agates initially had formations on their outside layer that formed prior to the deposition of chalcedony bands. They are filament growths of mineral inclusions that resemble ferns or feathers. Geode Agate - In some cases the supply of silica-rich water runs out before the entire cavity fills in. When there is a hollow center within a crystalline outer fill, the specimen is considered a geode. Not all geodes have agate banding, but many do. Also, the inner layers can form into several different types of silica mineral crystals and may even have other types of mineral crystals. Moss Agate - These agates have clusters of mineral inclusions that resemble plants, trees, or landscapes. Most moss agate inclusions are comprised of iron or manganese oxide. 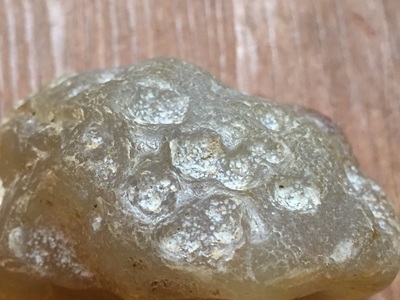 In some cases, the inclusions inhibit chalcedony banding allowing the mineral clusters free reign to grow within the silica gel. 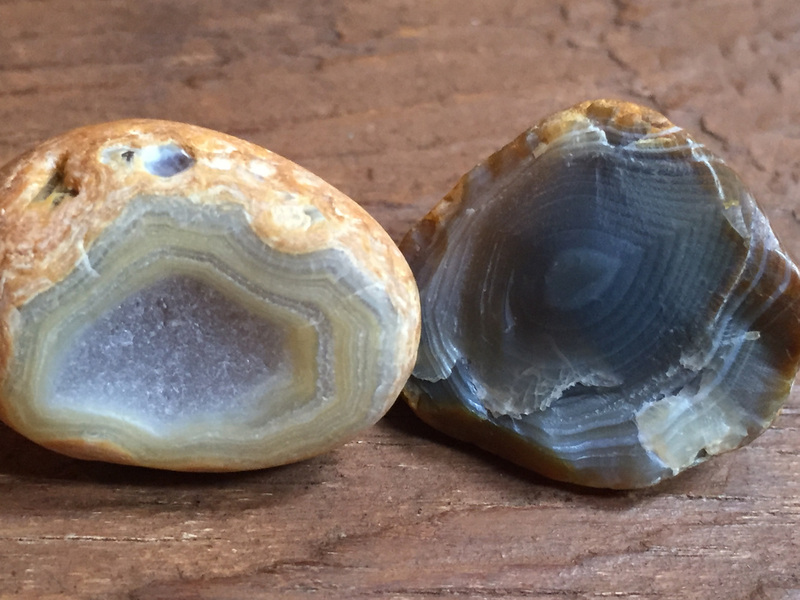 Seam Agate - These agates form in cracks within host rock, rather than in rounder pockets or cavities. The bands form in parallel rows that follow and fill in the crack or seam. 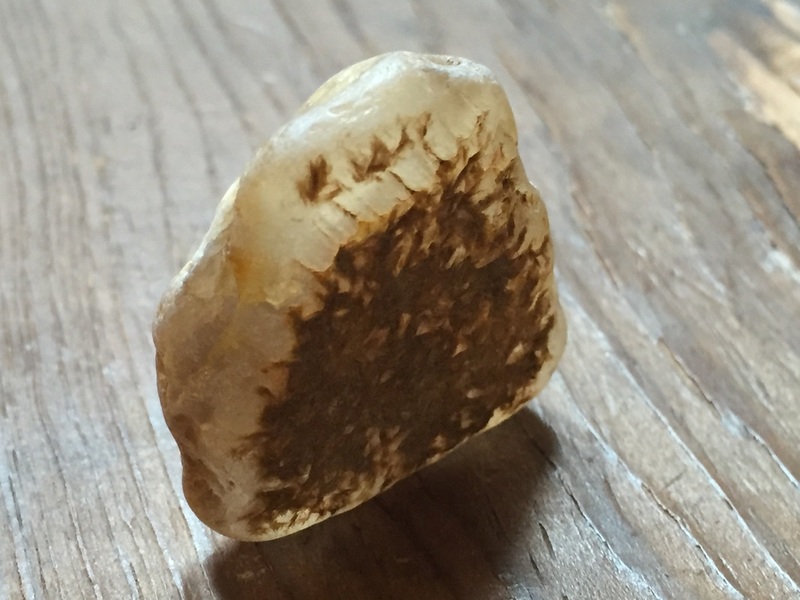 Where to Find Agates - Agates are actually embedded everywhere on a beach. 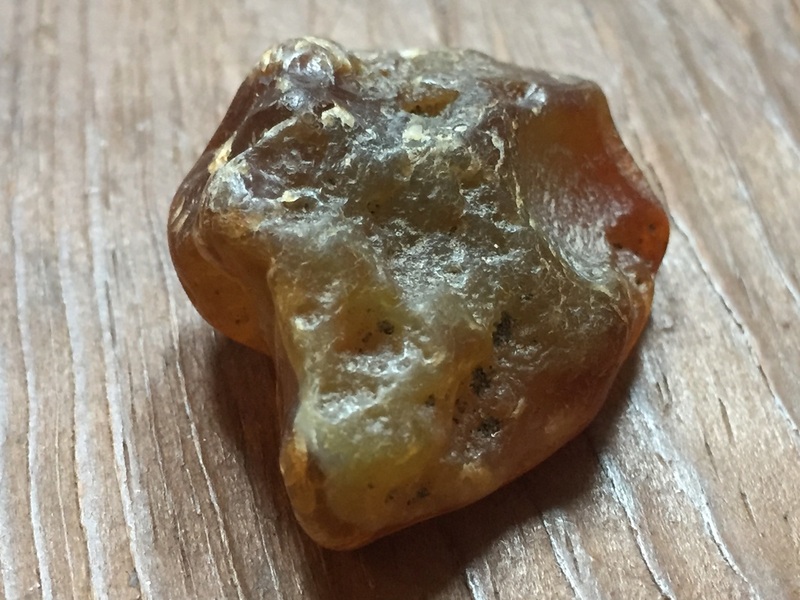 If a beach is located within range of a natural water way where agates are regularly flushed out of the hills, then you will find agates. The next difficulty will be assessing the right locations on a beach to hunt. 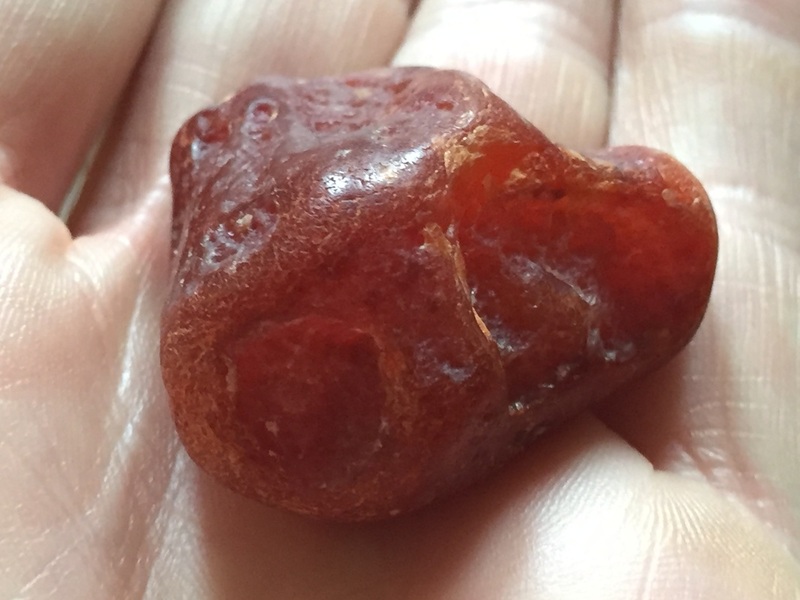 Tide scheduling - In order to plan your hunt and find the most agates, you should consult a good tide schedule that will detail when the tides will be at their lowest. Knowing when the tides are lowest will help the agate hunter anticipate when the agate beds will be exposed to their greatest extent to allow adequate time to carefully hunt. 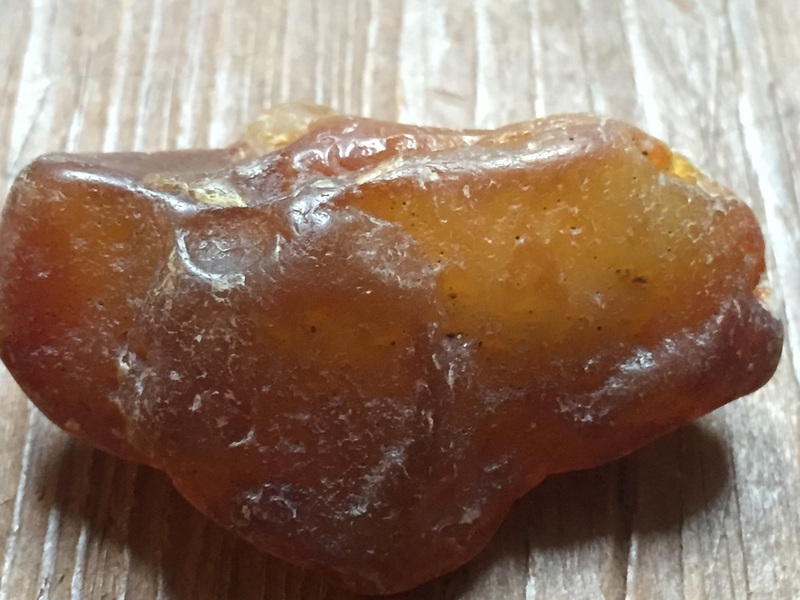 The predominate types of agate found on the Pacific Northwest beach fall within the categories of seam agate, geode agate or fortification agate. 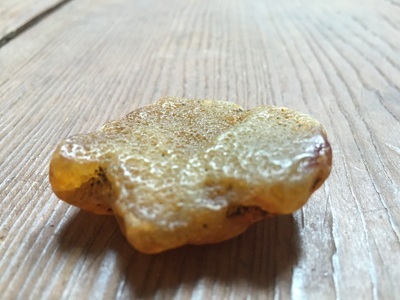 The agates found on the beach have been greatly reduced by the tumbling action as a result of their journey from their original location and formation in host rock. Their journey downstream and out to sea to be deposited onto a beach where continuous surf tumbling occurs produces a significantly diminished stone. 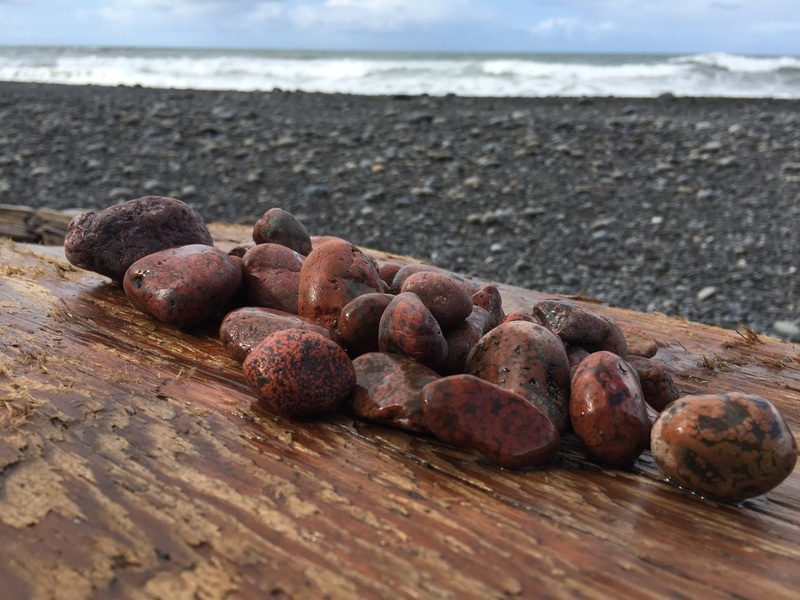 Agates, however, are some of the hardest rocks on the beach and will resist the rounding and reducing effect of surf tumbling when compared to the many other basalt, granite, jasper and quartz rock types found. These other types are found on the beach with a far greater rounded and smoothed appearance. 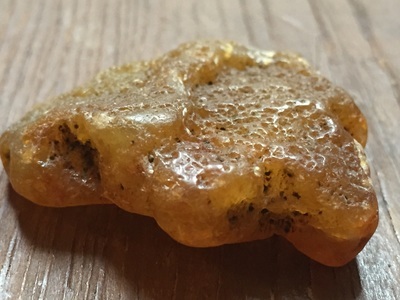 Agates typically are found with many of their original inclusions and shapes that are left illustrating the impressions of the old host rock that formed them. 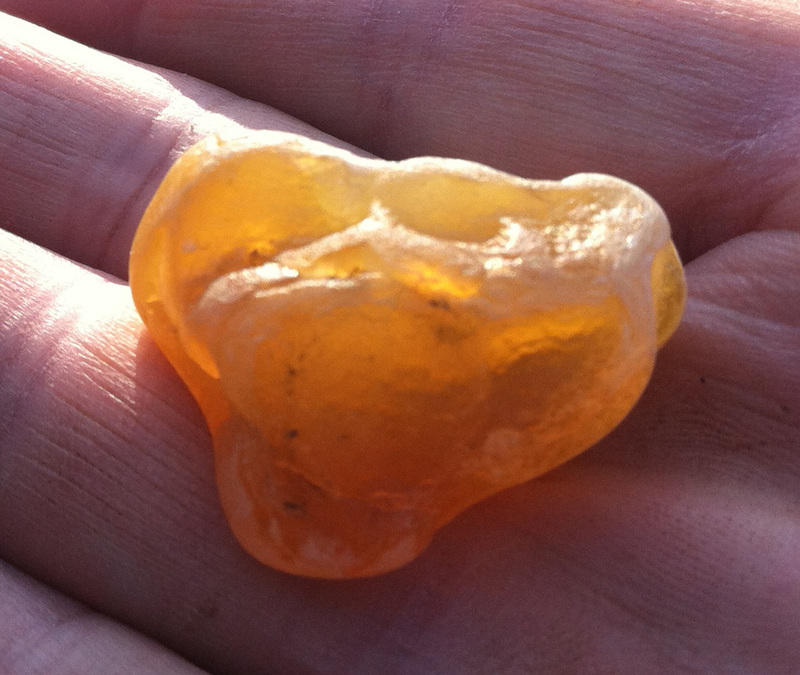 ​The most important identifying characteristics of agates on a beach are: opacity, color, banding and pitting. Opacity (translucent quality) - All agates are very translucent when held up to the light. Even the beginner beach comber will notice the translucent quality of an agate as they explore a beach. 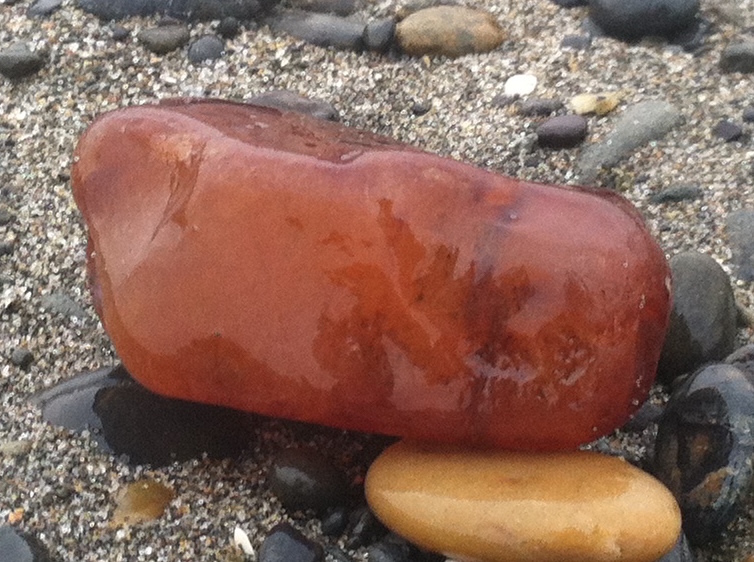 The agate is far more brighter than most other rocks on the beach. 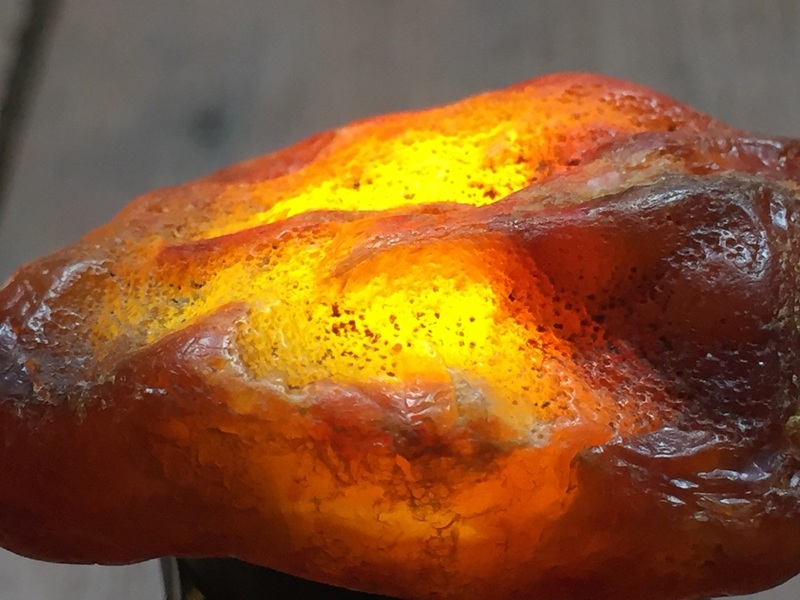 When approaching an agate lying in a rock bed surrounded by thousands of other rocks, the agate will actually shine because of the amount of light that is able to pass through it. Approaching a bed of rocks with the sun in front of you will allow the translucent rocks to shine in all their glory! They will stand out like beacons. The more wavelengths of light a gemstone absorbs or reflects, the more opaque it is. (Both a solid black object and a mirror, for example, are considered to be opaque). The more light that is absorbed or reflected means there is less light to transmit through the gem. 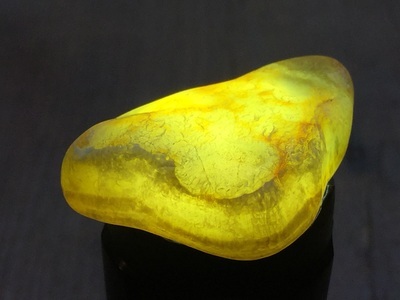 A translucent gem can transmit enough wavelengths of light that we can see light shining through it. However, if the wavelengths of light that escape the gem are highly scattered, due to the gem’s refractive index (RI) or other physical properties, light is all we can see through the gem. We can’t see images of what is beyond it. A transparent gem is translucent and transmits light with little scattering. This allows us to see images as well as light through a transparent gem. Color - Agates have been found in a wide variety of colors. This is all due to the formation process with their original host rock. As the silica solution seeps into the volcanic rock cavities or fissures additional trace elements of minerals contaminate the solution. If the contaminating minerals are iron, then the solution will be tinted red. Various other elements will tint yellow, amber or even the world renown blue seam agates of Ellensburg, WA! The Washington coast tends to accumulate amber, white and yellow agates known as carnelian agates. 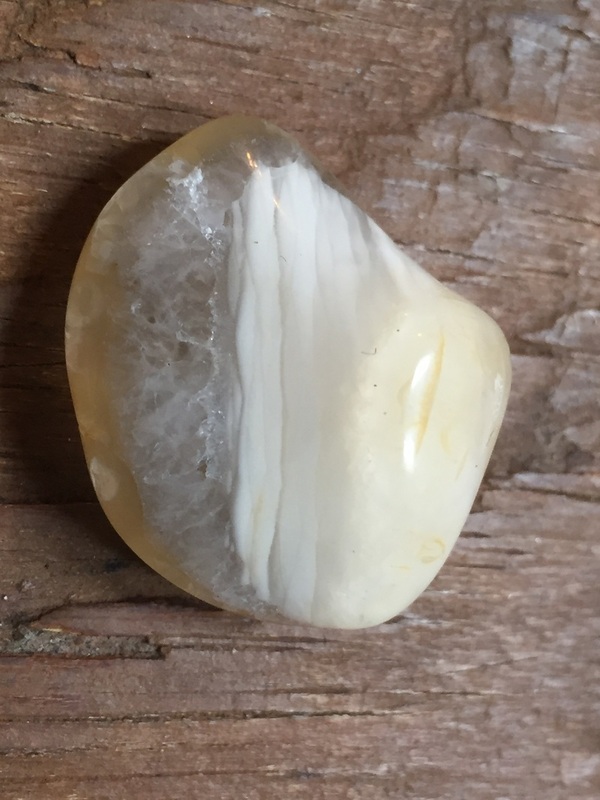 Banding - (concentric layering) - Agates are formed by the progressive depositing of silica solution into cavities and crevices inside of a host rock. 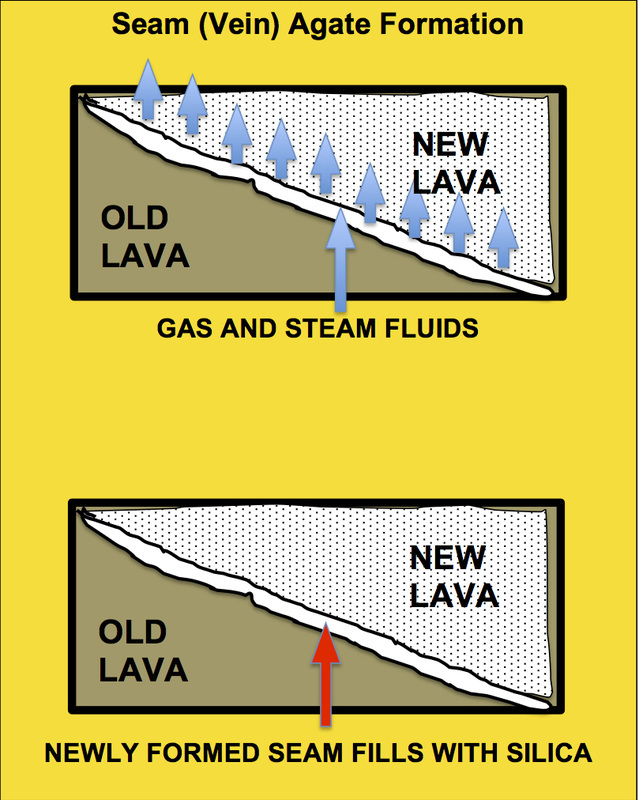 This process of progressive deposition of silica solution produces a layering effect once the solution has hardened into solid rock. 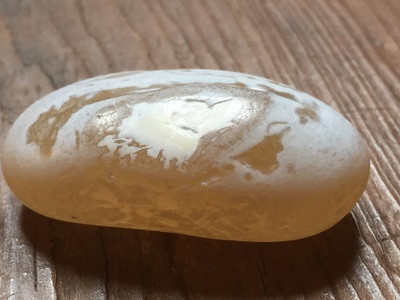 As these fragments of geodes or chalcedony wash down from the hills and are deposited onto beaches their distinctive characteristic is a visible area of banding or layering. An agate is defined as an agate if it illustrates banding. 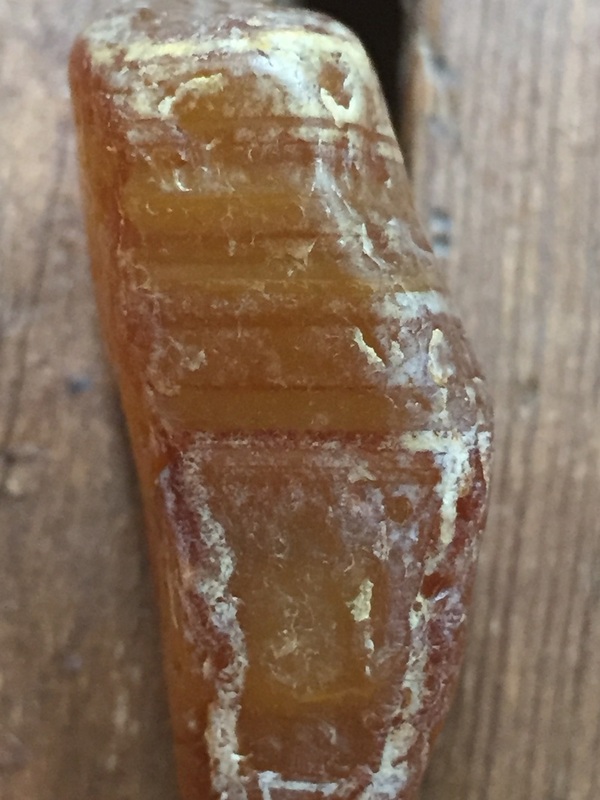 So, a careful agate hunter will also look for these characteristic lines embedded in the agate. The following gallery illustrates the types of agate banding that a beach comber might find. 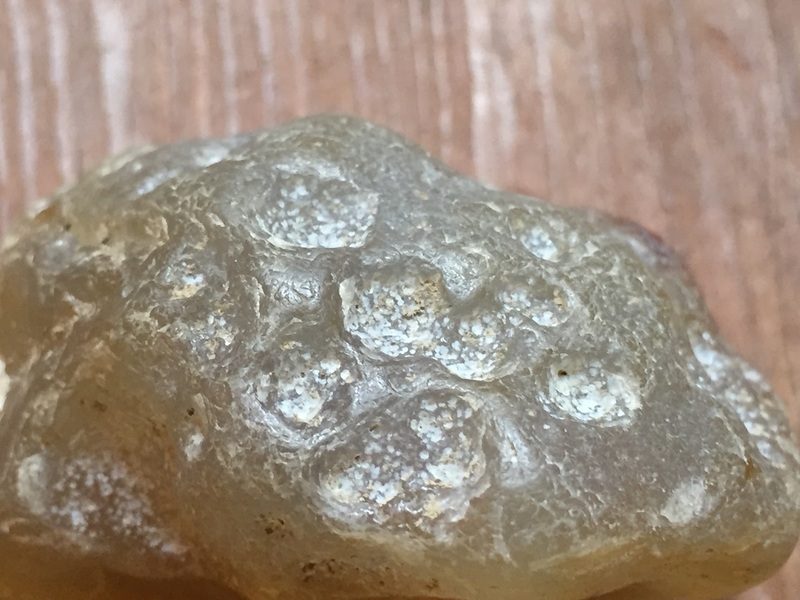 The gallery below illustrates the moment of discovery for these agates and how they appeared on the beach. They are clearly distinct in coloration and texture as a beach comber scans the beach. Orbicular Jasper - Agates may be moderately difficult to find but another rock is almost as challenging. Orbicular Jasper is a unique specimen of rock found in the Pacific Northwest. 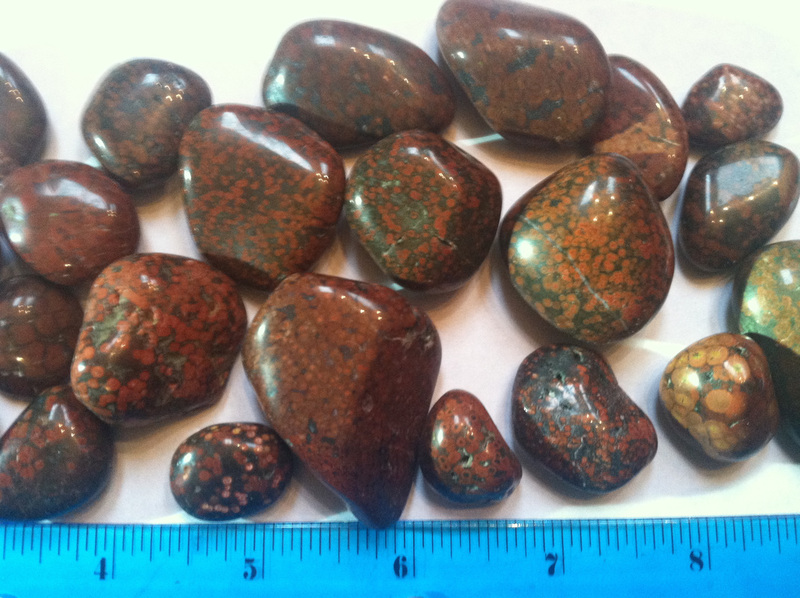 It is in the Jasper family of rock but presents a cluster of orbs over it's surface that are red in tone. Orbicular Jasper is a variety of jasper which contains variably-colored orbs or spherical inclusions or zones. In highly silicified rhyolite or tuff, quartz and feldspar crystallize in radial aggregates of needle-like crystals which provide the basis or seed for the orbicular structure seen in this kind of jasper. The material is quite attractive when polished and is used as an ornamental stone or gemstone. 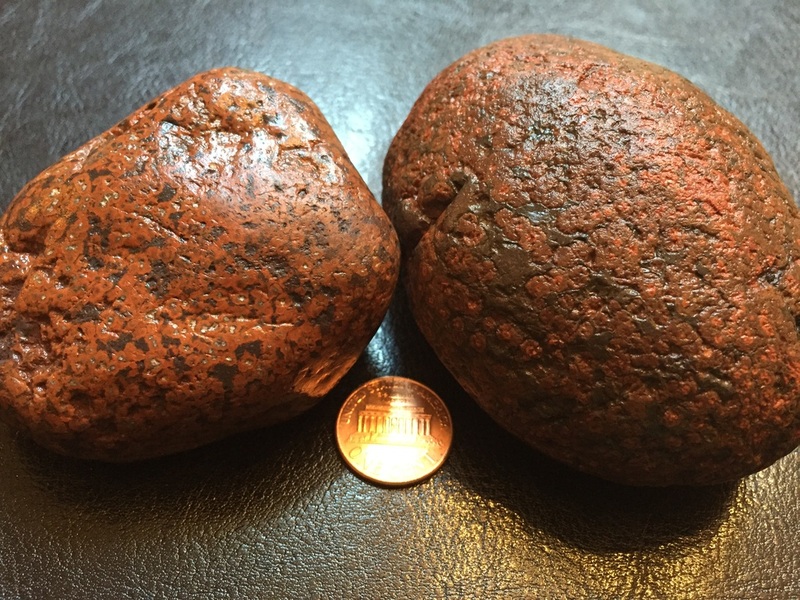 This stone is unique to the Pacific Northwest and can be found as larger boulders in rivers further inland. It is, however, not as abundant as most rock found in rivers and on beaches. So, recognize it's rarity and enjoy the hunt. I have found Orbicular Jasper to be just about as rare as finding agates on on the beach. A few of my largest finds have come off of boulder covered beaches such as the Ediz Hook off Port Angeles, North Beach of Port Townsend, Murdock Beach west of Joyce and Rialto Beach out by LaPush, WA. My largest collection found in one day came off of Rialto Beach. Petrified Wood - One of the most rare finds that a beach comber can discover on a beach is that of a petrified piece of wood. 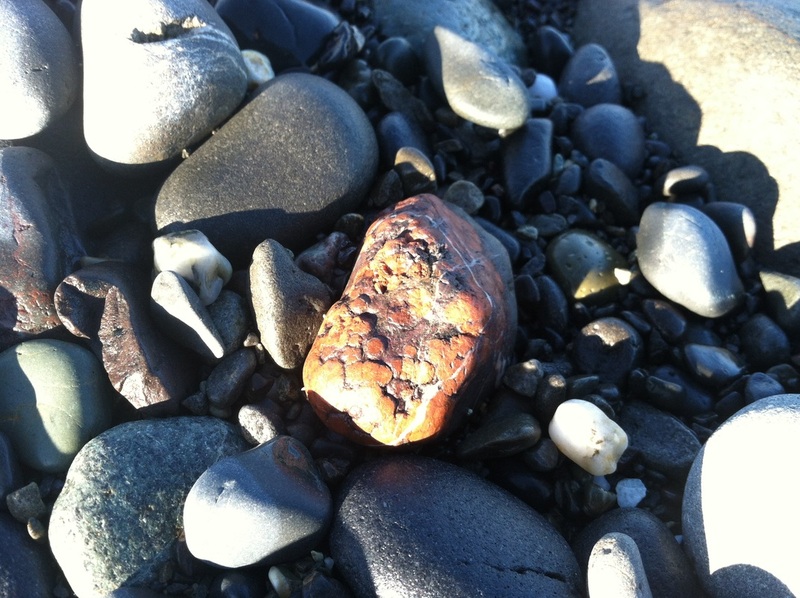 A petrified fragment of wood tumbled in the surf is very difficult to identify and thus quite hidden from view. The average piece of petrified wood is not bright or translucent. It is always solid and very opaque with no light refracting through the stone. It is typically tan to gray in coloring which blends in with most other rocks found in a gravel bed. I have picked up only three pieces of surf tumbled petrified wood in my years of beach combing and they were all found on Damon Point beach at Ocean Shores, WA. I have probably walked past and over many petrified specimens without ever knowing it. The primary identifying characteristic of petrified wood is the consistent graining that flows in parallel lines across the stone. I will post pictures of each piece below for your examination.